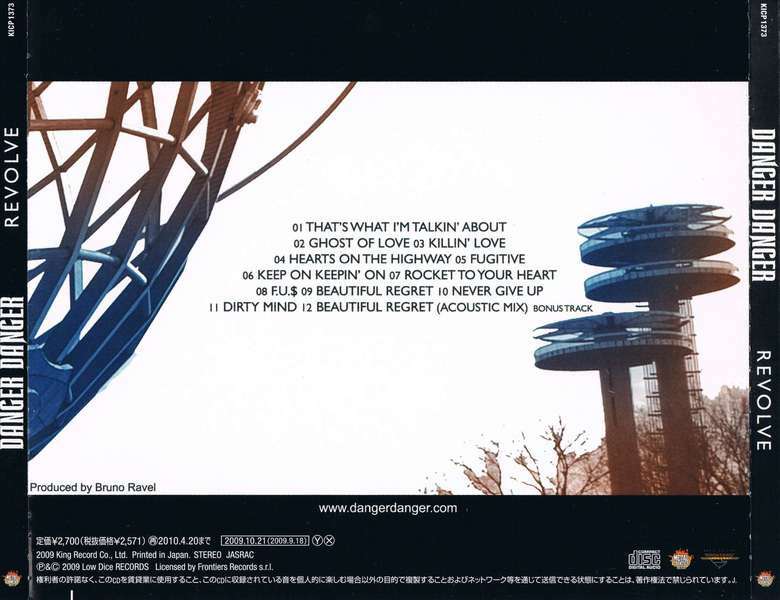 Some time ago we featured here the Japanese remastering of DANGER DANGER first album, now one of you asked for the Rock Candy Records 'Remastered & Reloaded' treatment. 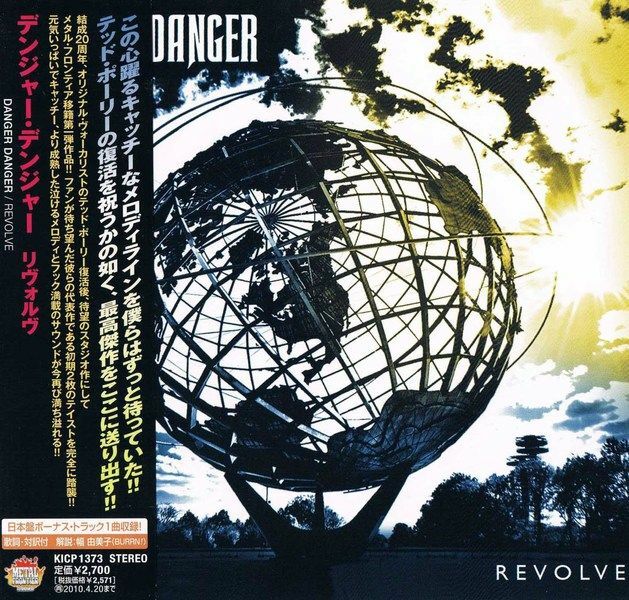 In terms of sound this "Danger Danger [Rock Candy remastered +5]" reissue it's a little more bright and louder, but apart from that includes as bonus the complete 'Down and Dirty Live' EP remastered for the first time.New York, New York, says the famous song. So good they named it twice. Well, if that sort of shtick was good enough for ol’ Blue eyes then it was certainly good enough for late '80s New York area melodic hard rockers Danger Danger whose songs ‘Naughty, Naughty’ and ‘Bang Bang’ helped to emphasise the point perfectly.Not that they needed to accentuate anything but the music, an impressive commodity that took then from the relative obscurity of the New Jersey bars and clubs to European stages and the wide screen appeal of MTV.Formed in 1986, the band concentrated on forging songs and a sound that would secure them a foothold on the burgeoning melodic hard rock scene. Obscure they may have been but inexperienced they were not.Several of the band had not only paid their dues locally but had played with or backed a number of other artists, including Talas, Joe Lynn Turner, White Lion, Michael Bolton, Saraya and Pomp AOR legends Prophet.Fashioning memorable songs with firebrand riffs, Danger Danger were signed by the Imagine label (a division of Epic Records, headed by Industry legend Lennie Petze) and put into the studio with Lance Quin (Bon Jovi, Lita Ford).The band’s self titled debut album "Danger Danger" instantly produced a hit single with the MTV friendly ‘Naughty Naughty’, a song that defined the band’s appeal as one of the best high-energy melodic rock bands of the era.As said above, this Rock Candy Special Deluxe Collector’s Edition has a brighter & louder remastering job than the Japanese, yet not brickwalled. It feels punchy and rocking.Additionally there's the very good 'Down and Dirty Live' EP recorded in 1989 plus 16 page full colour booklet including a new interview with the band, a 3,000 word essay about the recording and previously unseen photos. French reissue label Bad Reputation / Axe Killer has been doing a great job releasing 'Collector Series / Remastered with Bonus', with the main attraction being the addition of a bonus tracks or bonus disc, making these reissues the 'definitive expanded versions'. 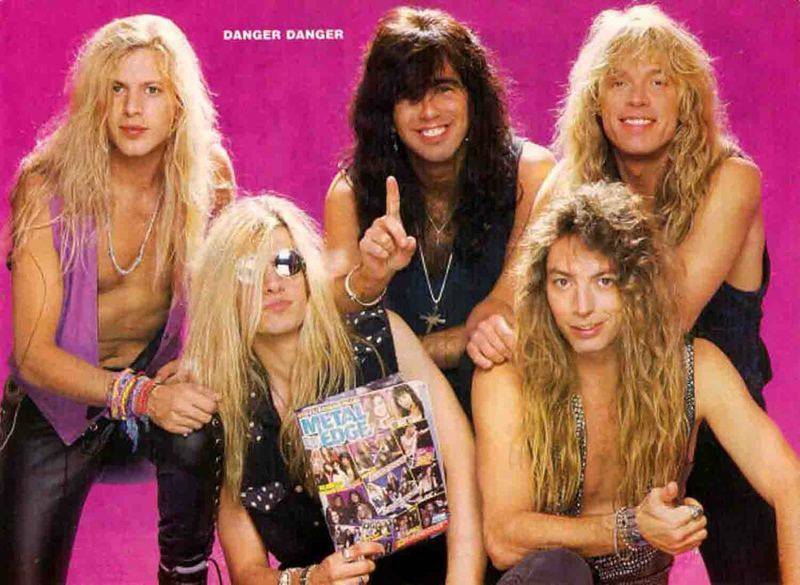 In a Rock Candy Records fashion, these are official remasters in arrangement with the original recording companies.DANGER DANGER's second album "Screw It!" comes with a bonus track (B-side of the single 'I Still Think About You') and a bonus disc, the complete "Down And Dirty Live!" EP, originally released as promo.For their second album "Screw It! ", Danger Danger basically took every element from the debut and turned it up a notch. 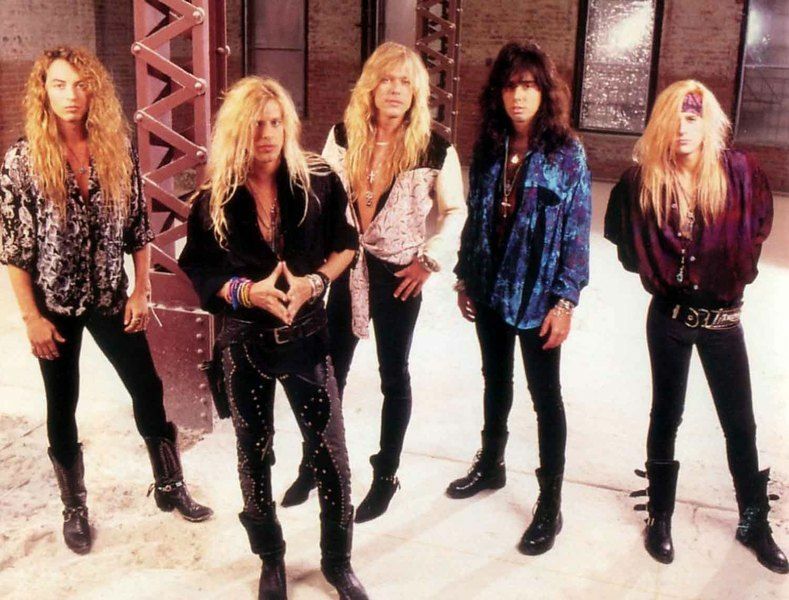 The melodies are catchier, the production is shinier, and Ted Poley's vocals are cleaner. The AOR melodies from the debut are mostly replaced with another instantly loveable factor: HOOKS.With a definite 'what the Heck' attitude, "Screw It!" rocks from start to finish, there's not a single weak song on this album. "Monkey Business", "Don't Blame It On Love", "Everybody Wants Some" are just few examples of first class Melodic Hard Rock made in USA.This album is up there with gems for the genre like Hardline's Double Eclipse, Warrant's Cherry Pie, Damn Yankess, etc. 15 - Yeah!! You Want It! 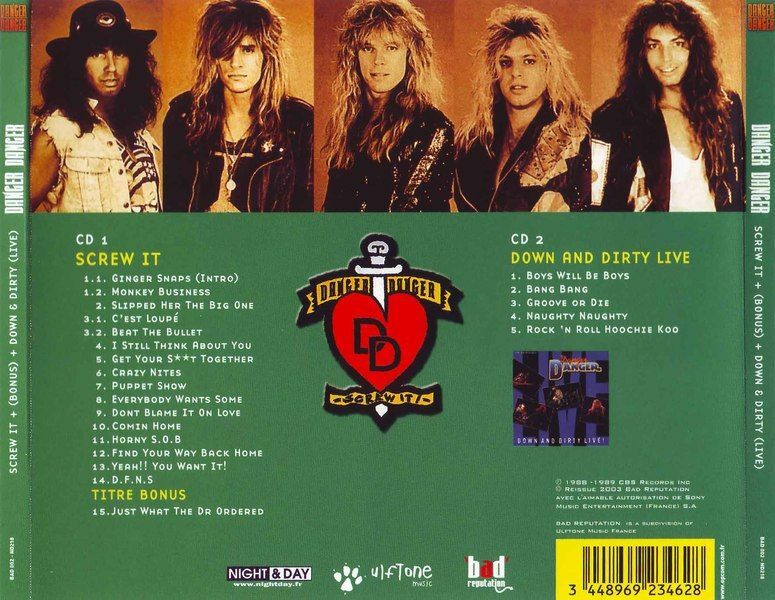 CD2: "Down And Dirty Live"